FINGERS & ATHLETICS - A secret your finger length ratio reveals! A secret your Finger Length reveals! 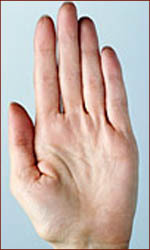 Look at the length of your index finger in relation to your ring finger. If your index finger is longer, you're probably a 'couch potato' - with little talent for outperforming in athletics. If your ring finger is longer, chances are you love to exercise. Reuters Health reports that a number of previous human studies have linked finger length ratio to certain behaviors and personality traits, including aggression, athletic ability and even academic skills. Making a sweeping generalization, men tend to have a shorter index finger in relation to their ring finger, while the two fingers tend to be the same length in women. The so-called "male pattern"--whether it's seen in men or women--often means there is more aggression and greater athletic ability, while the "female pattern" is associated with stronger verbal skills. Now researchers at the University of Alberta in Edmonton in Canada have investigated the relationship in 1,000 white mice. When they selectively bred mice to enhance the trait of increased physical activity (associated with athletics), those mice had a higher digit ratio. And although this behavior was clearly associated with digit ratio, the findings were the opposite of those observed in humans, reports Reuters. Specifically, the mice with a lower (or "male pattern") digit ratio tended to be lazier than the mice with the "female pattern," who took to their running wheels far more frequently. 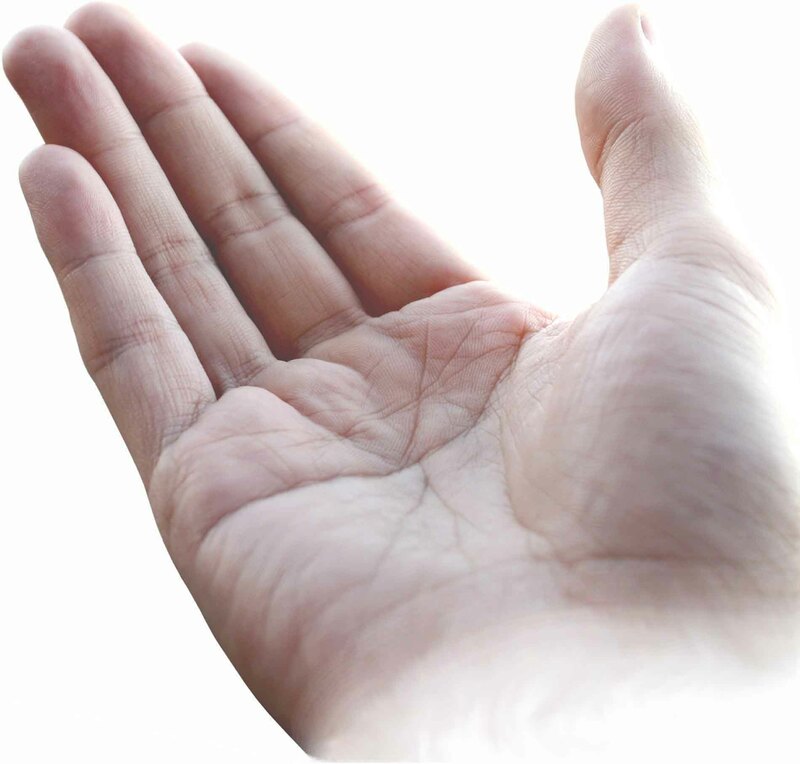 If you're lazy, can you blame it on the length of your fingers? Not a chance. Study co-author and associate professor of psychology Dr. Peter L. Hurd told Reuters Health, "The effect sizes for digit ratios on behavior in humans are really small, making it virtually impossible to tell anything about a single individual from their hands," Hurd told Reuters Health. "The pattern only emerges when a great many people are examined." He says comparing finger length to behavior is interesting because it says something about personality traits that are fixed during early development in the womb. While some researchers think fetal exposure to testosterone explains the connection, Hurd disagrees, saying it's not that simple. He thinks something far more complex is at work, specifically prenatal exposure to stress hormones. But whatever the reason, Hurd says it adds to the evidence of a connection among the brain, behavior, personality and the shape of the hand.